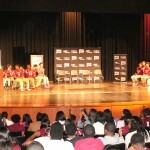 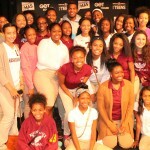 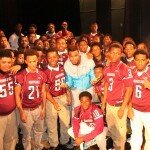 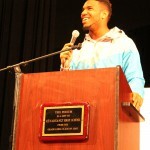 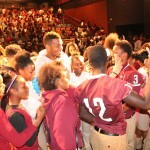 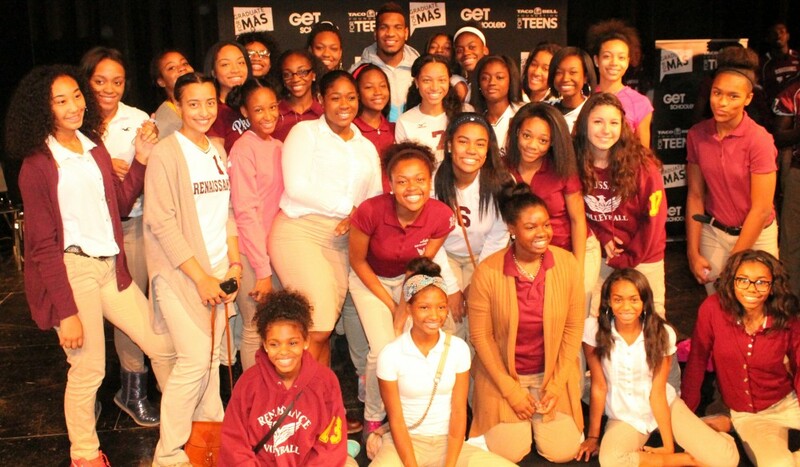 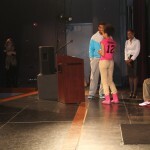 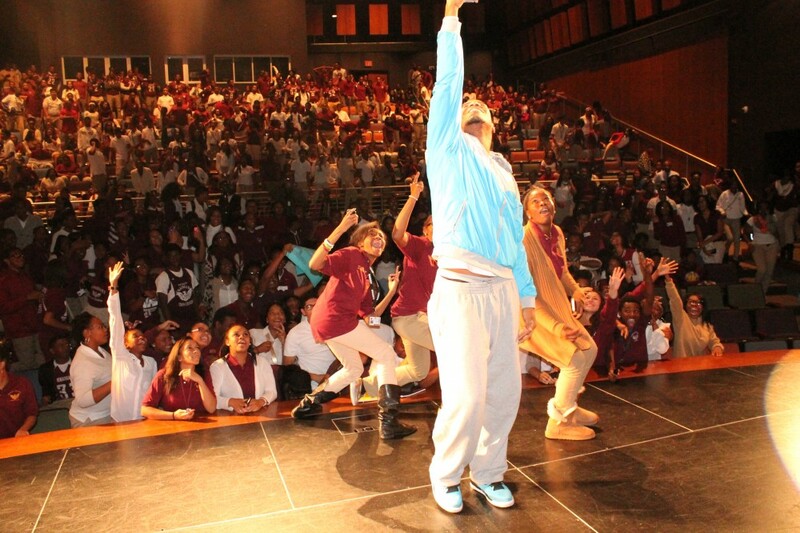 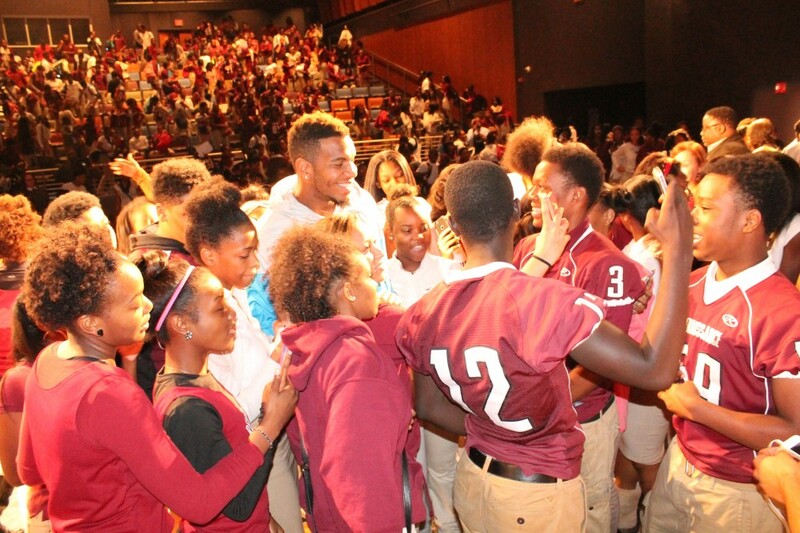 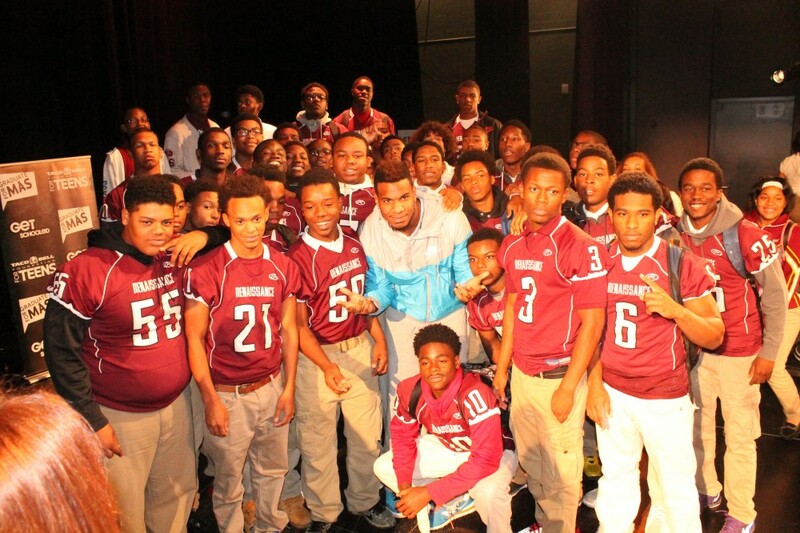 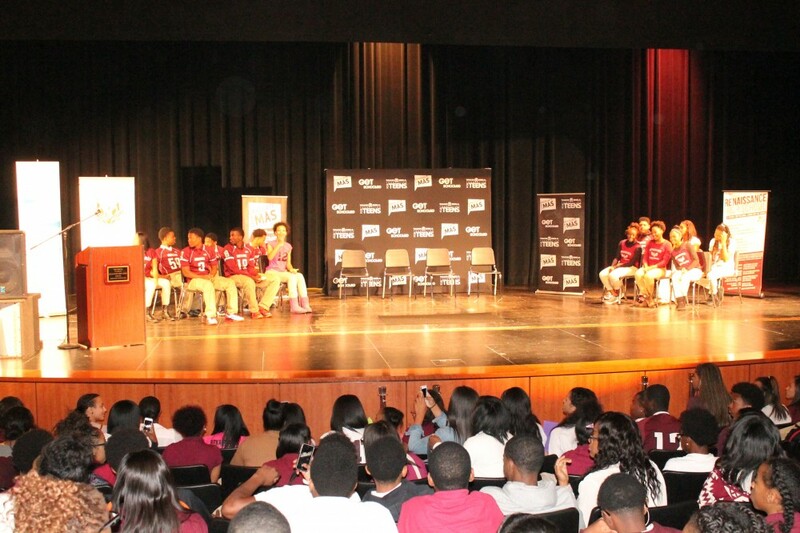 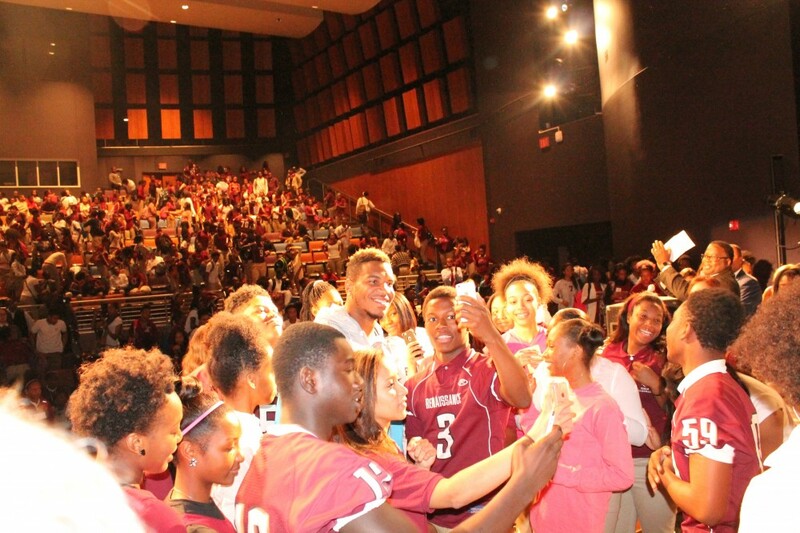 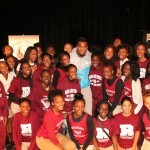 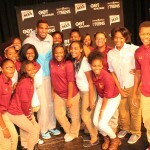 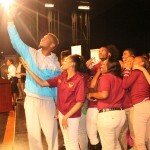 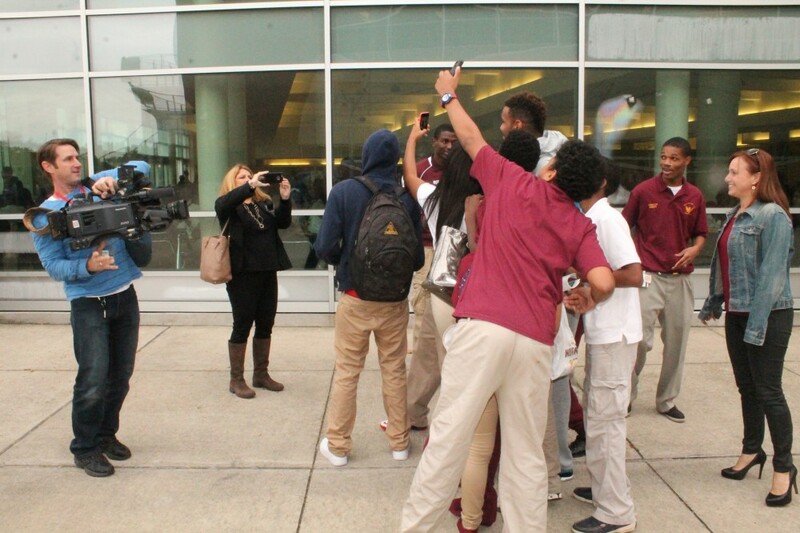 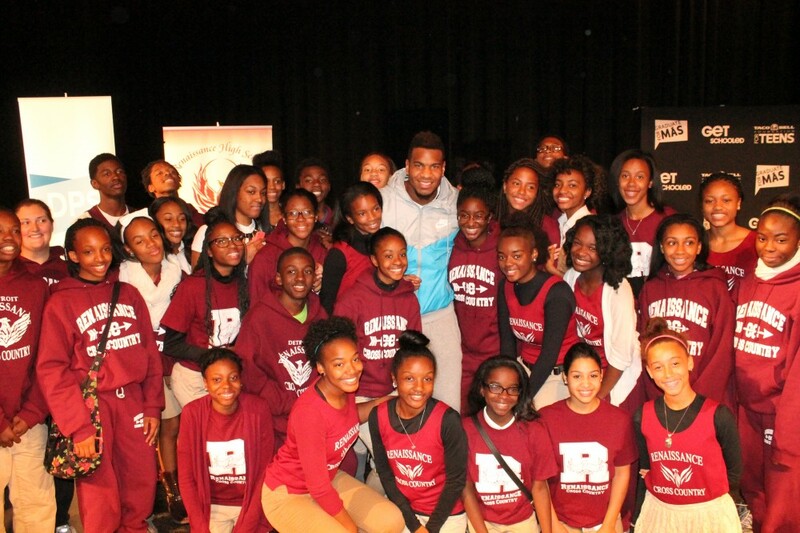 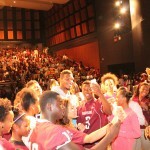 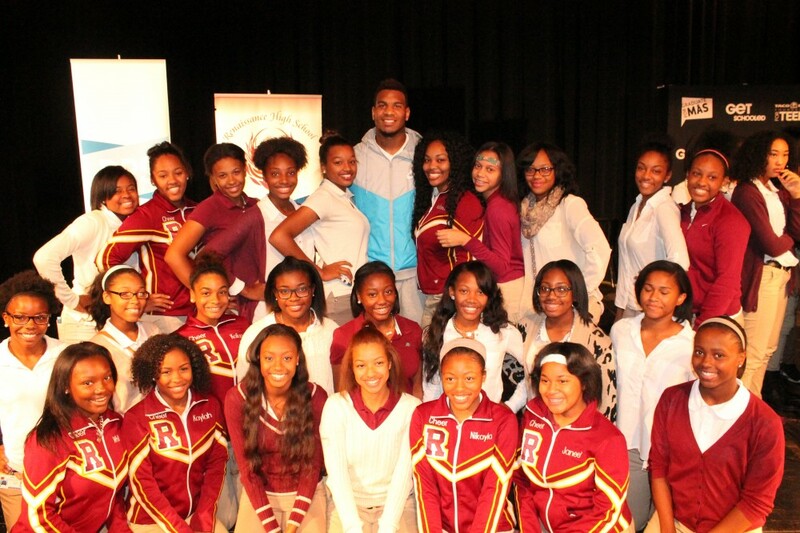 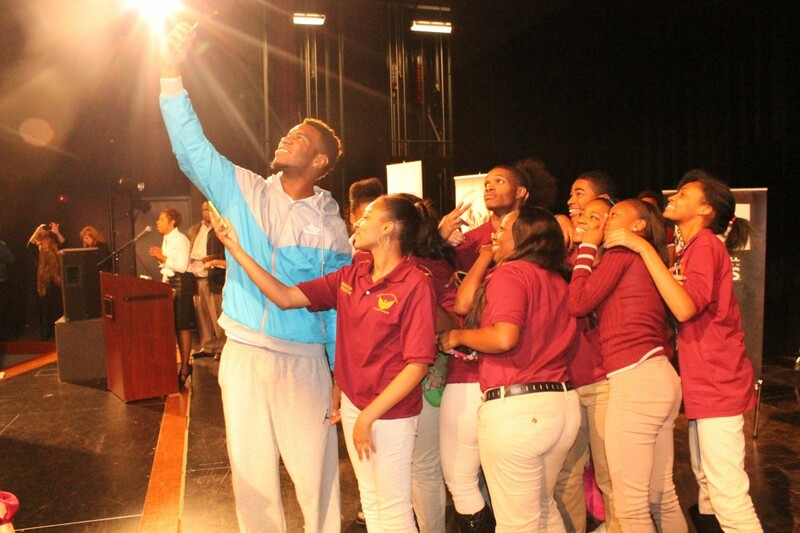 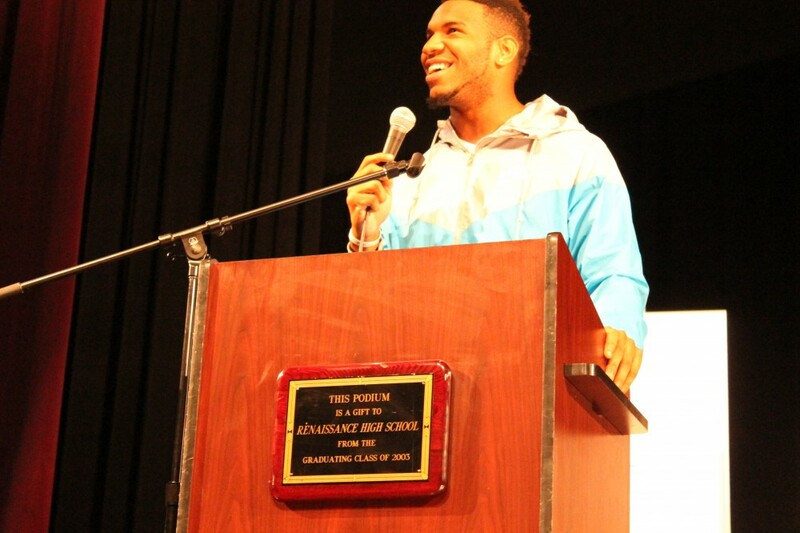 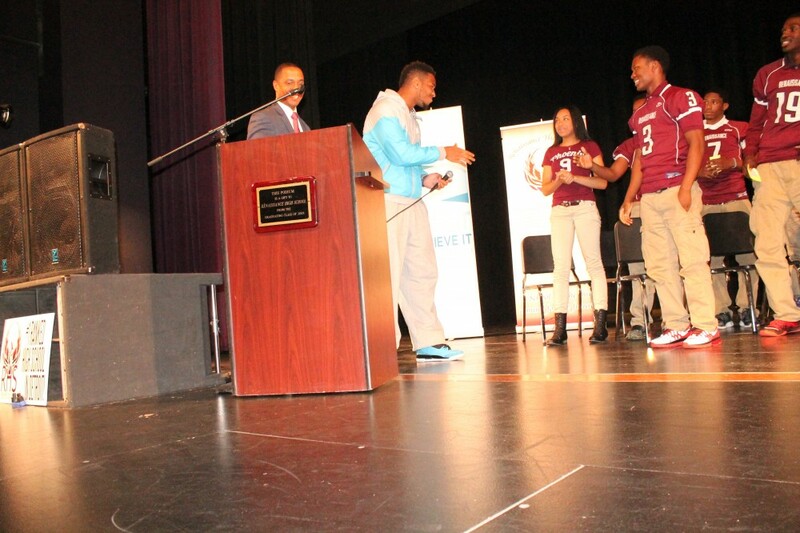 To recognize the winner of the “Start Strong” Attendance Challenge, sponsored by Get Schooled, the Taco Bell Foundation for Teens and Viacom, football star Eric Ebron made a surprise appearance at Renaissance High School. 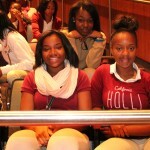 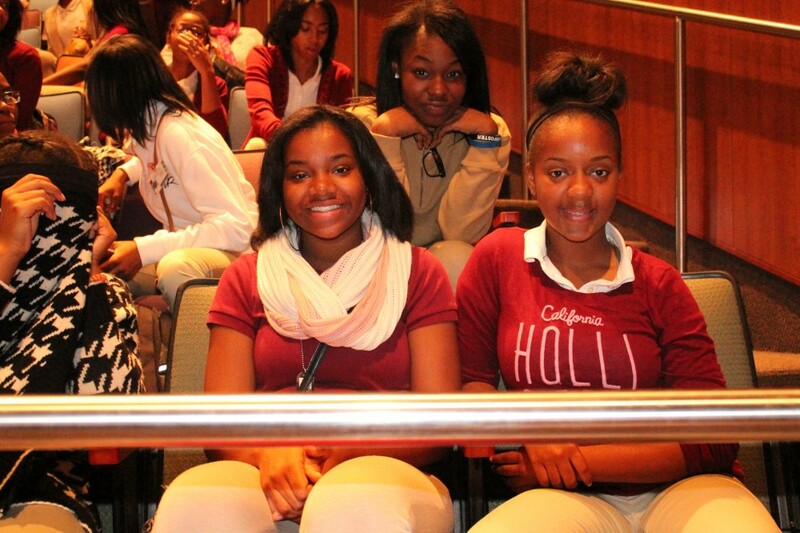 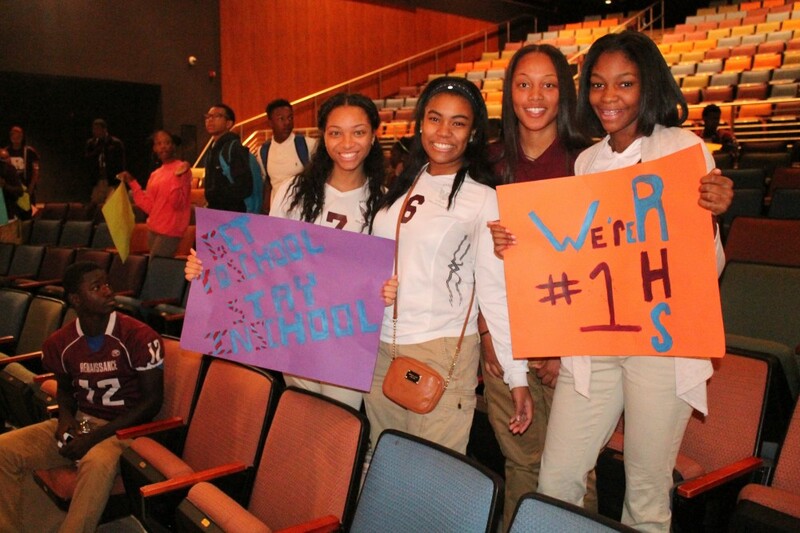 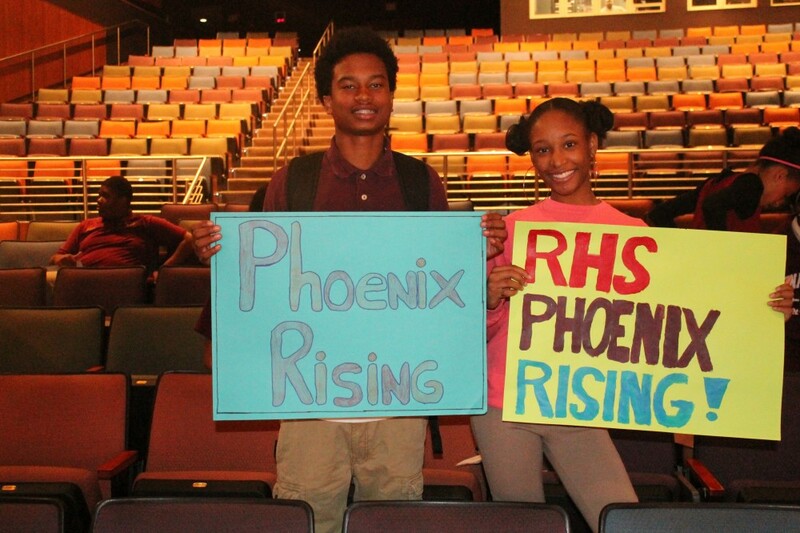 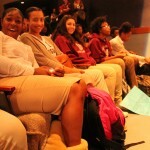 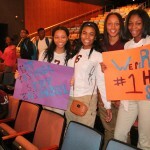 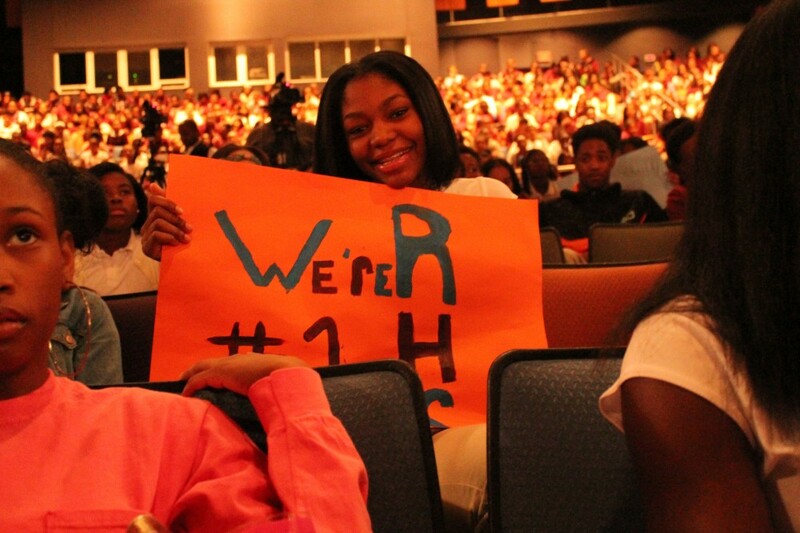 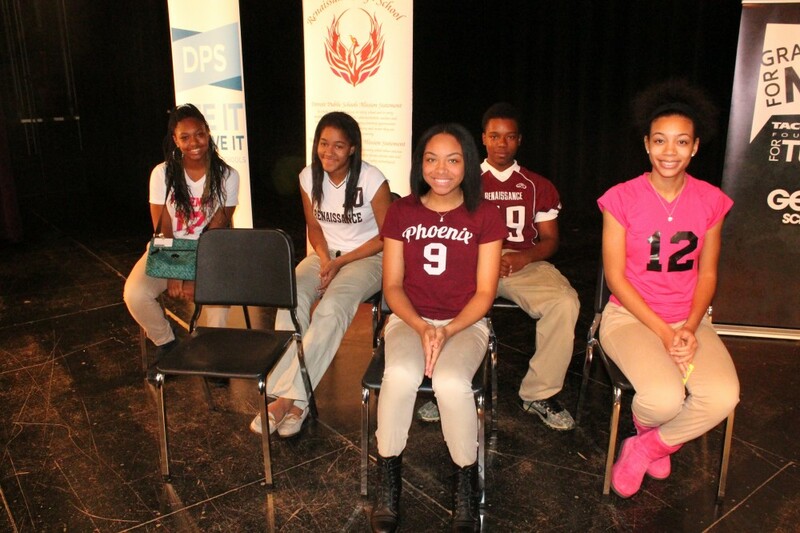 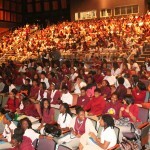 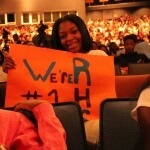 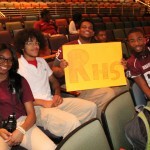 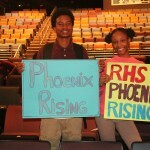 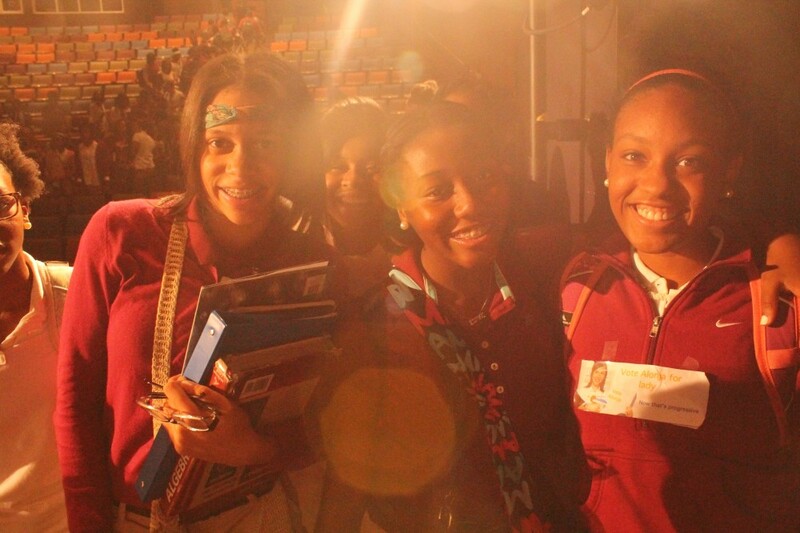 Renaissance had the highest attendance rate (97 percent) of any middle and high school across Detroit Public Schools during the first three weeks of school. 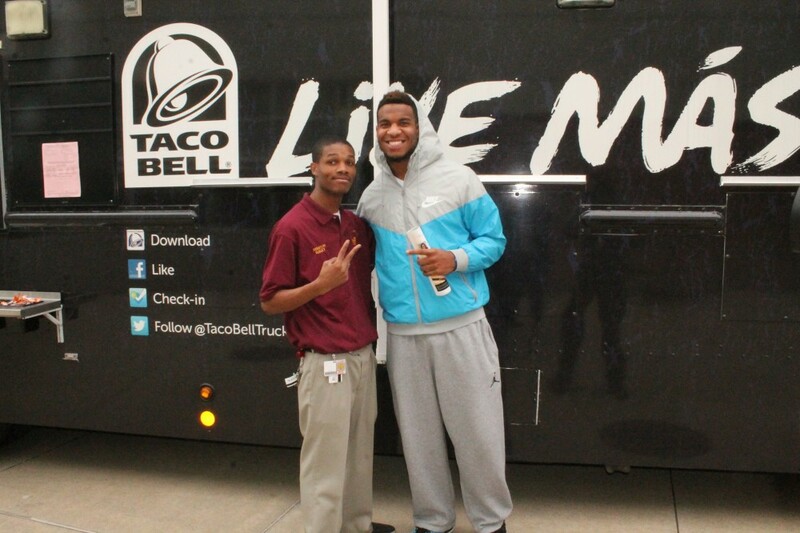 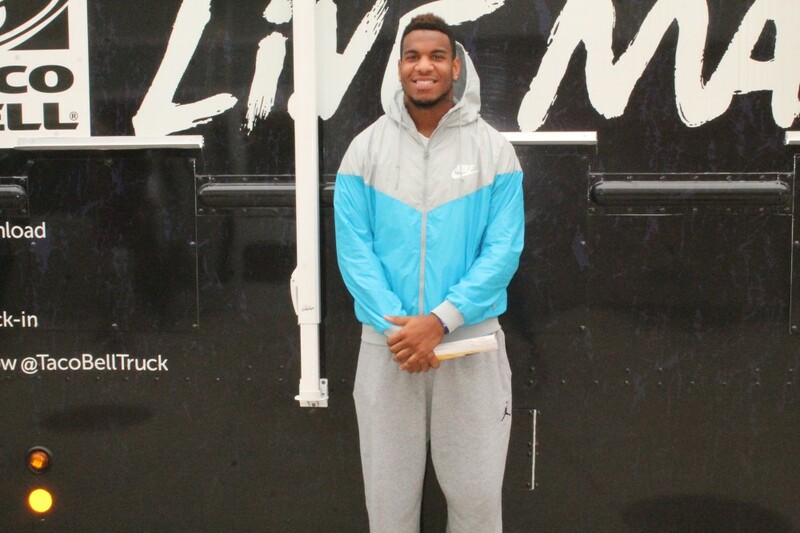 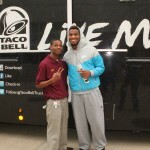 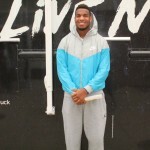 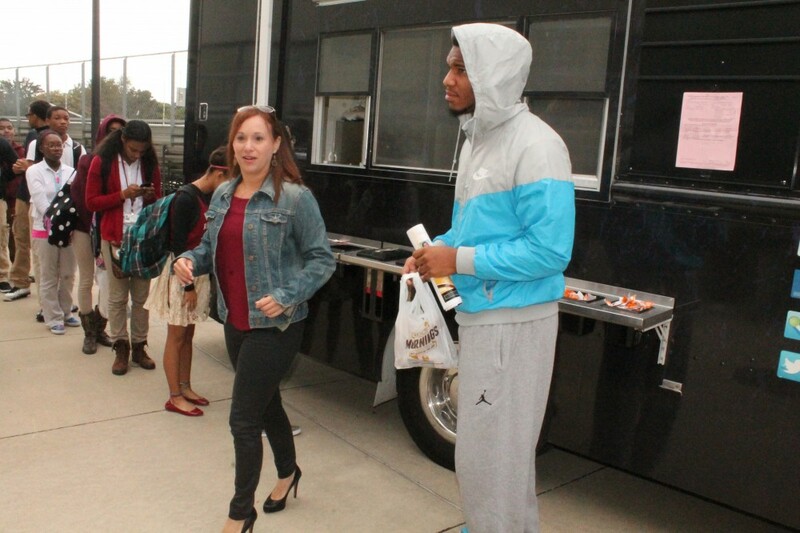 As part of their recognition, students received lunch from the Taco Bell® Truck and a surprise visit from Detroit Lions tight end Eric Ebron. 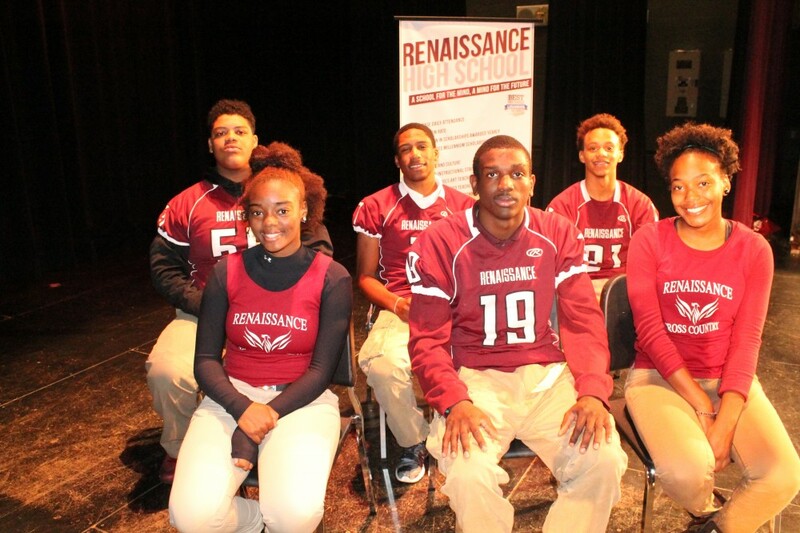 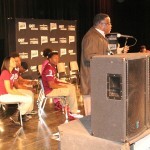 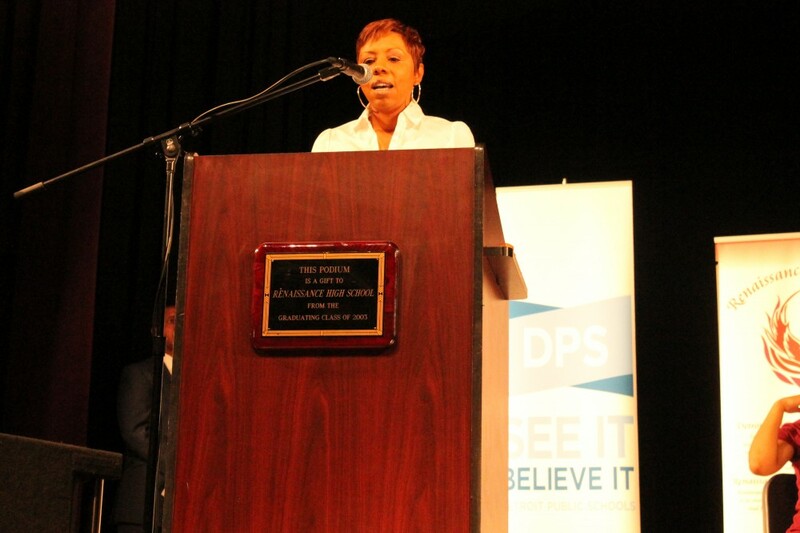 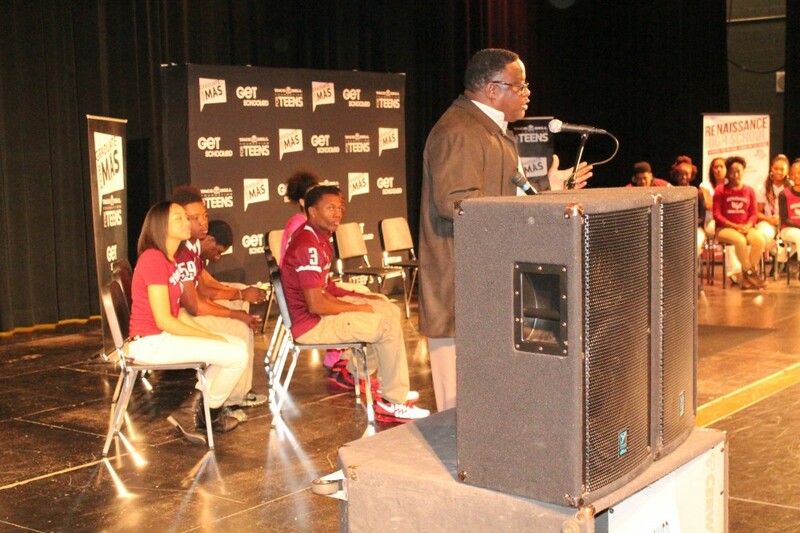 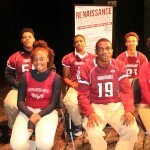 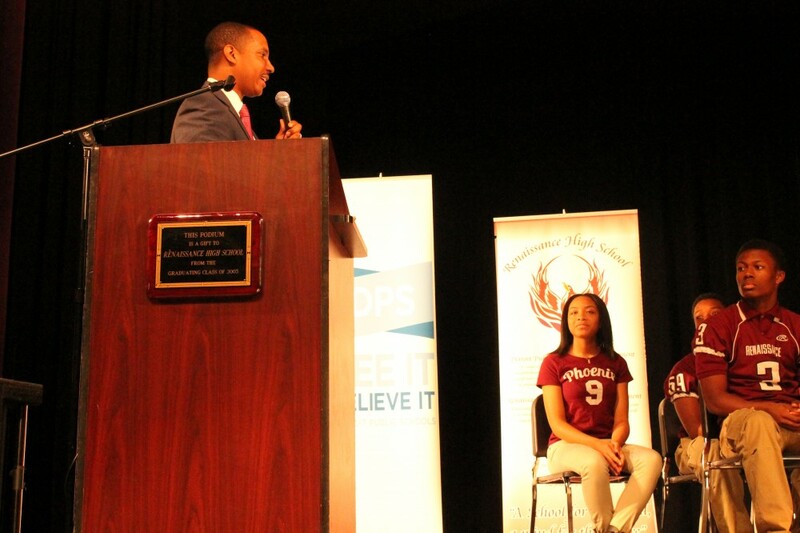 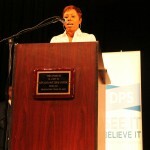 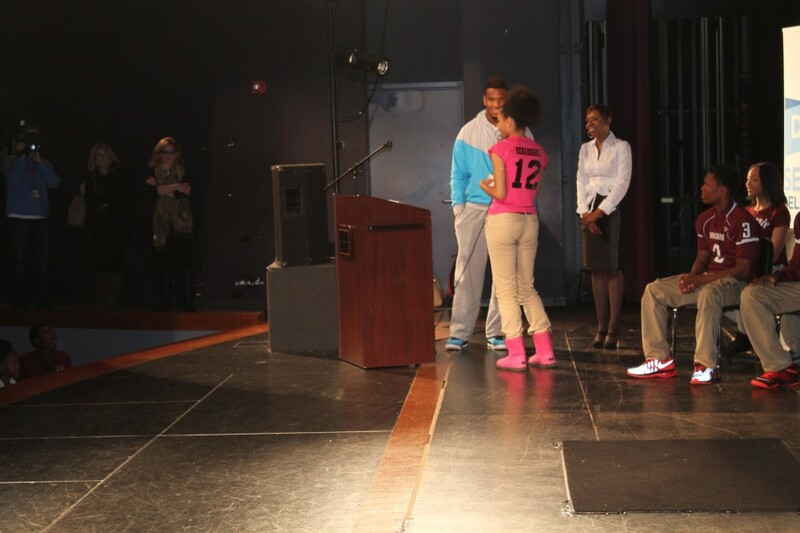 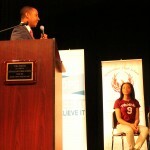 Kevin Smith, Detroit Public Schools Chief of Staff to Emergency Manager Jack Martin — who is also a Renaissance alum– and Anita Williams, Principal of Renaissance High School, hosted an assembly for 9th graders and the school’s athletic teams. 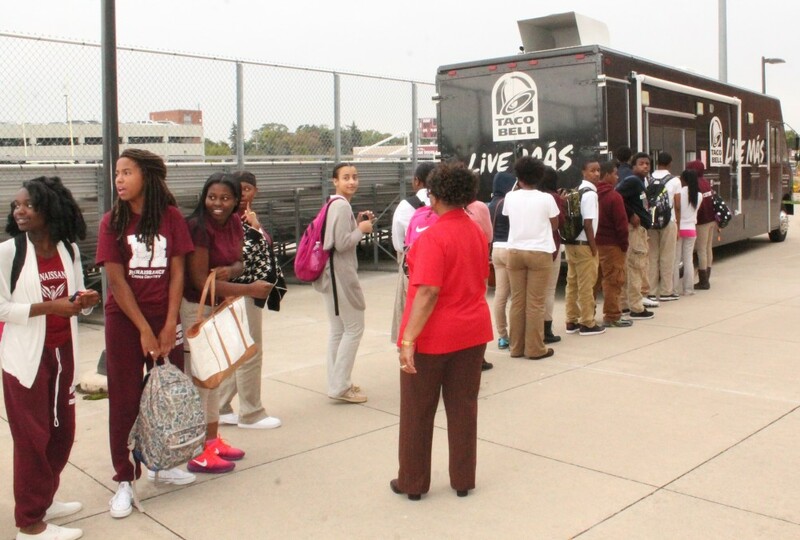 The Taco Bell® Truck was onsite during the school’s lunch period. 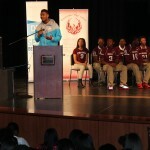 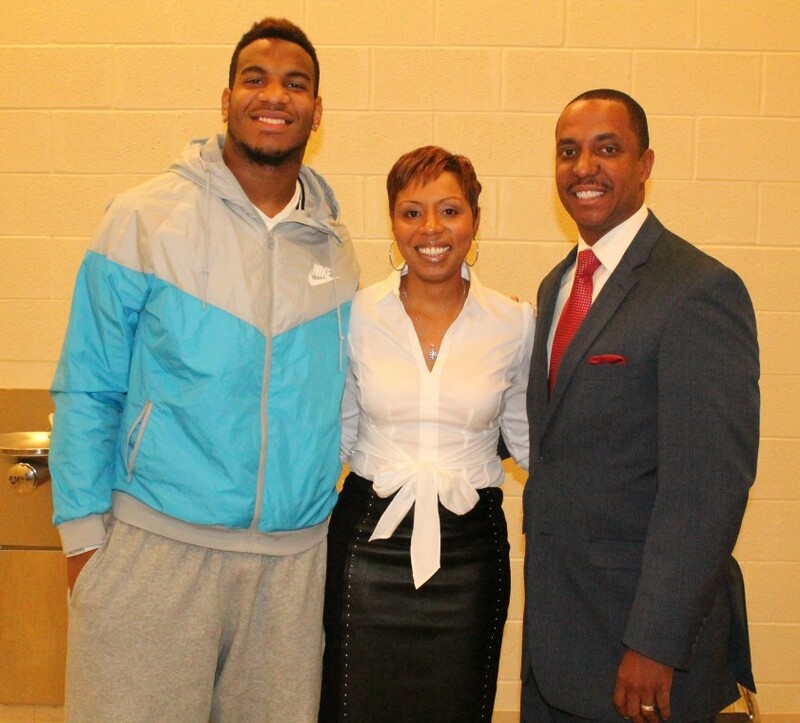 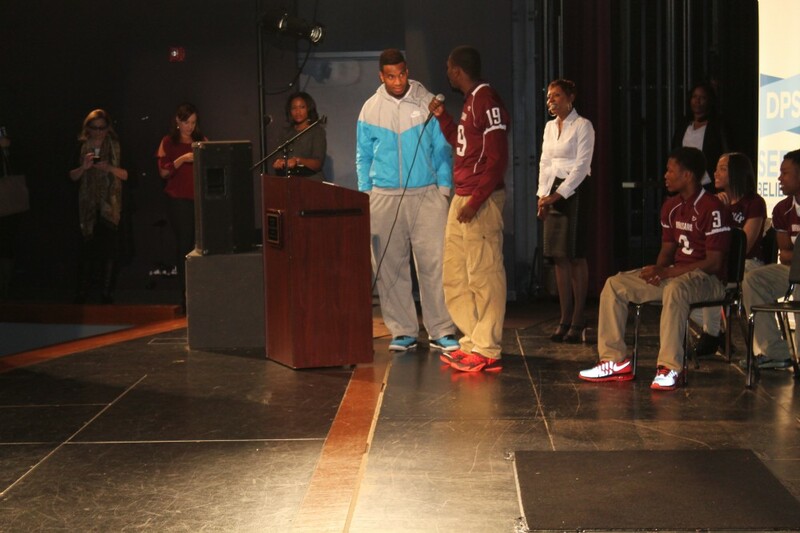 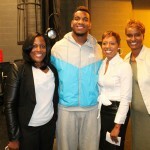 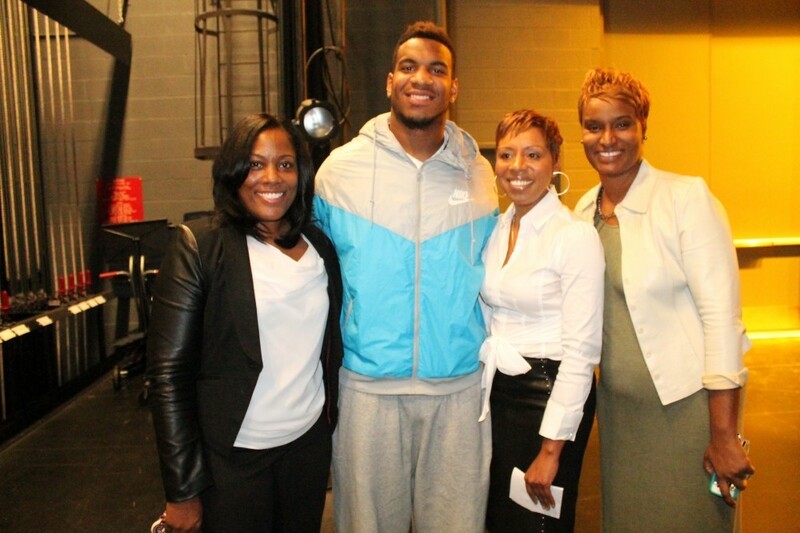 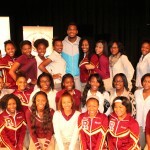 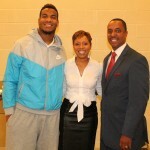 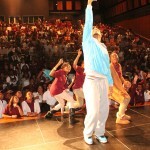 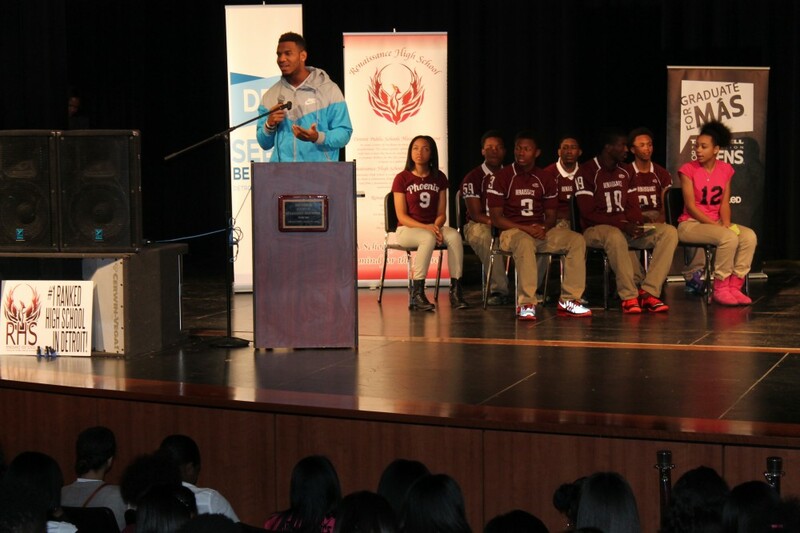 Ebron, the 10th overall pick in the 2014 NFL Draft, shared an inspiring message with students on the importance of obtaining an education and having great attendance in school and in their future careers. 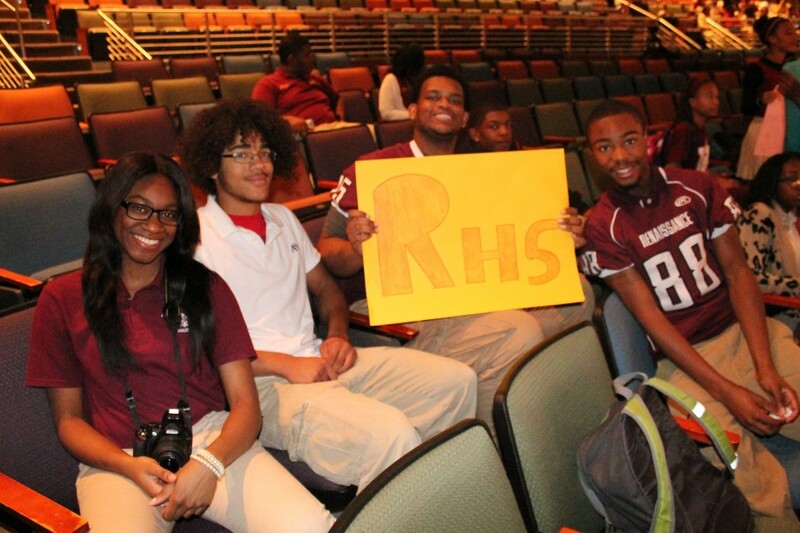 Regular school attendance is the greatest predictor of high school graduation rates. 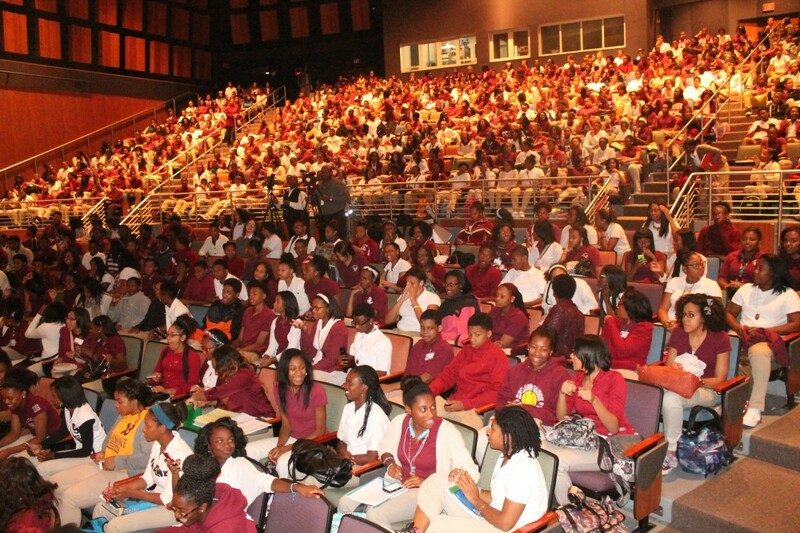 A study released earlier this year by the Baltimore Education Research Consortium (BERC) found that attendance during the first month of school is a predictor for year-long attendance. 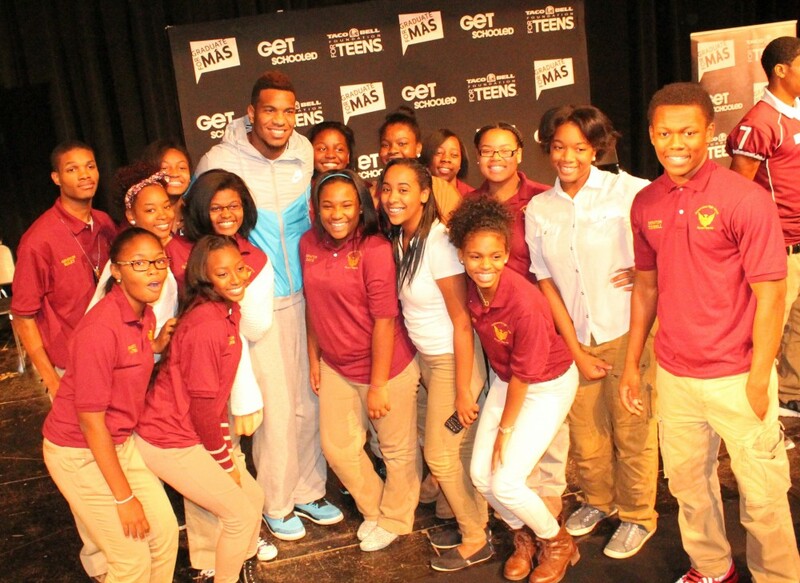 Get Schooled, with the support of Viacom, Taco Bell Foundation for Teens, has a long-standing partnership with Detroit Public Schools focused on improving attendance and ultimately increasing high school graduation rates and college-going rates. 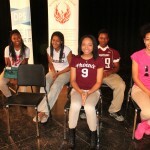 The latest figures from the Department of Education show one in four students drop out before finishing high school. 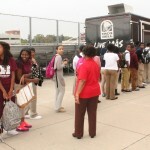 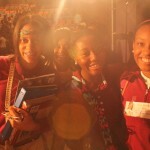 Since 1992, the Taco Bell Foundation for Teens has inspired and enabled teens to graduate high school and reach their full potential through its programs, partnerships and direct financial assistance. 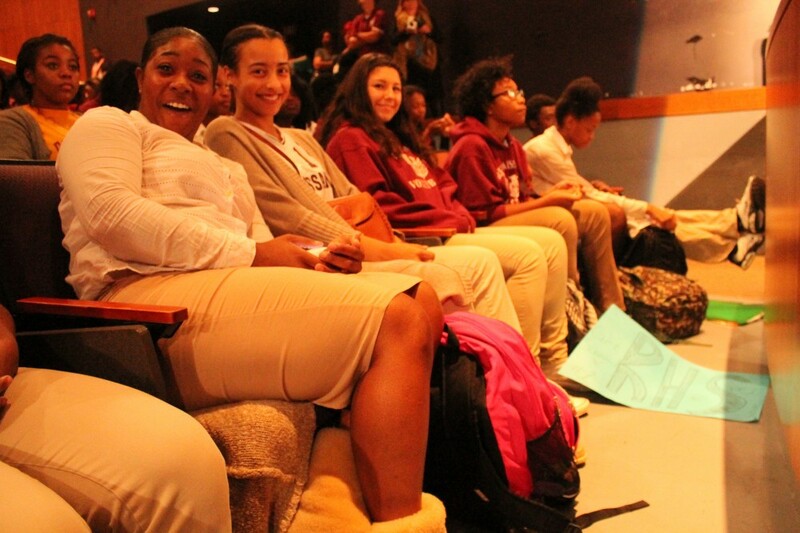 In 2013, the Foundation launched Graduate for Más, a program co-created with Get Schooled that challenges teens to make a personal commitment to graduate high school and provides the tools, support, community and local resources they need to stay on track.